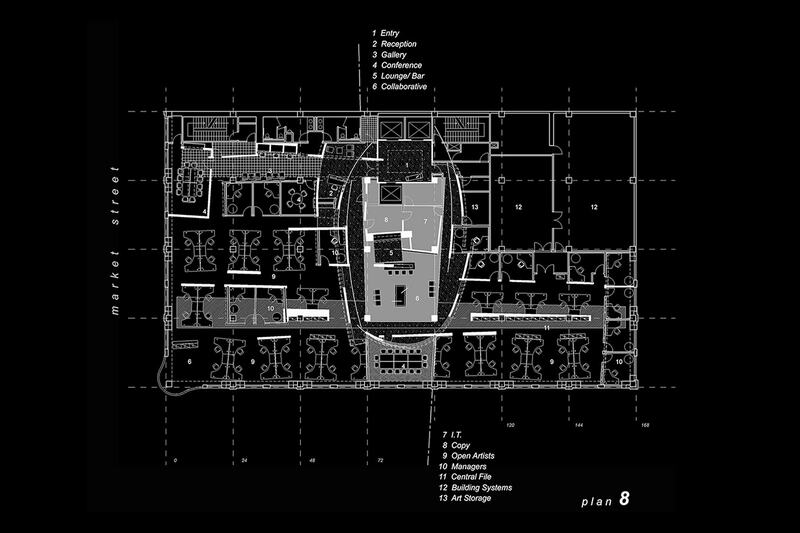 The new Headquarters for Monster.com needed to evoke the fast-paced and playful lifestyle of the young tech population in an effort to compete for talent. 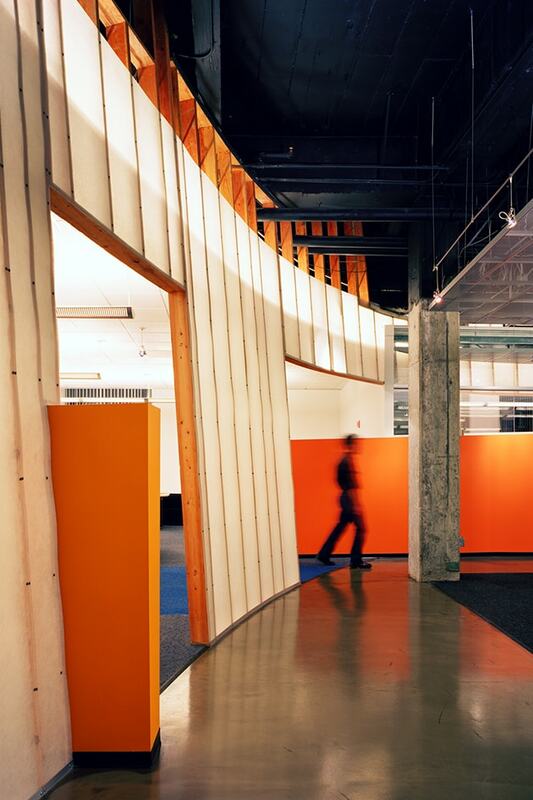 A thoughtful use of color and materials offer a relaxed, inviting environment for the young exuberant workforce. 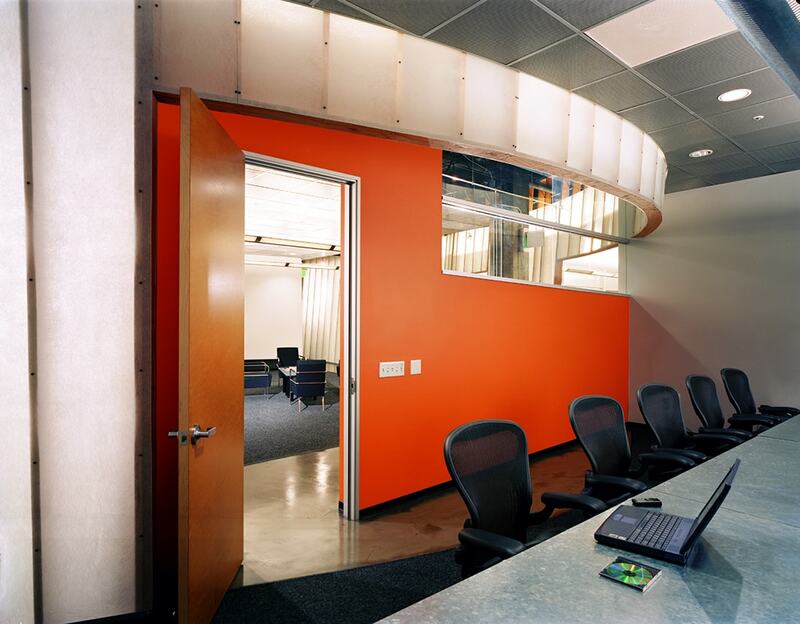 Curvilinear panel forms provide the central schematic design direction of the adcom space that allows for maximum ease of movement and orientation. 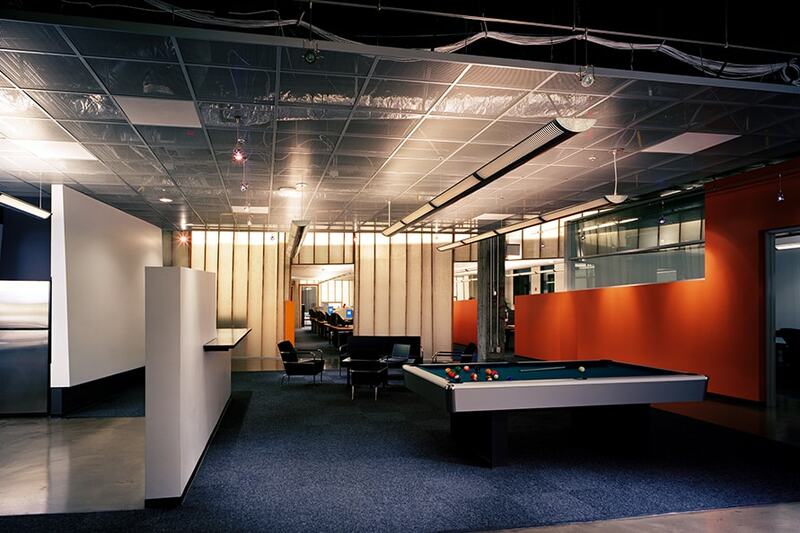 The use of translucent panels add visual interest as well as allowing for interesting play of light between adjacent spaces.